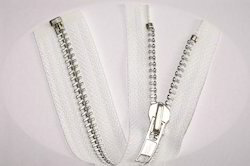 Leading Manufacturer of metal zips, aluminum zips, invisible zips, plastic zips, cfc zip and zip fasteners from Delhi. 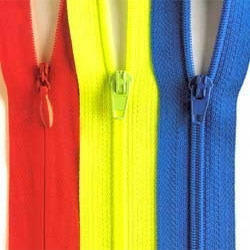 We are actively engaged in manufacturing, trading and supplying an excellent range of Metal Zips. The mechanism allows for partial fastening where only some of the tape is fastened together, but various movements and pressures may move the slider around the tape. Ideal for thick fabric such as leather jackets and bags, clients can avail these zips from us in different patterns, sizes and designs. These Aluminum Zips are designed by our highly skilled professionals using advanced quality aluminum which we sourced from the reliable vendors of the market. 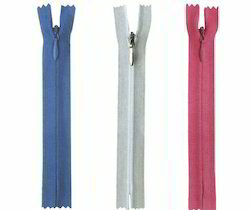 Offered products Aluminum Zips are widely used and are available in various sizes as per the clients requirements. We hold expertise in offering a supreme spectrum of Invisible Zips to our clients. Used in garment and textile industries, these products can be custom made in different designs, sizes and colors. 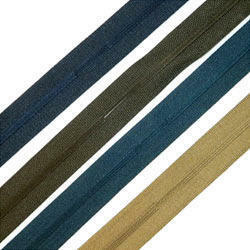 We are engaged in importing and trading a wide assortment of Plastic Zips to our clients. These sliders are made of high grade plastic and are offered in several sizes and shapes. For meeting the varied demands of our patrons, we are betrothed in providing a wide assortment CFC Zip. The zip offered by us are designed using premium-grade material, which is obtained from the reliable vendors of the industry. We fabricate these zips in varied sizes as per the necessities of our clients. 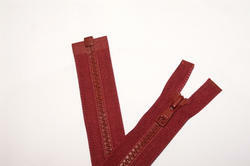 The provided zip is widely used in garments and home furnishing items. Our offered range is also well-checked on varied parameters so as to make sure their conformation with set industry parameters. We are a noteworthy organization devotedly engaged in offering wide gamut of Zip Fasteners that is used in the garments industries. Widely known in the market for longevity, excellent puller strength and precisely stitching fabric, we have full-fledge range of this product. The teeth can be either individual or shaped from a continuous coil, and are also referred to as elements. Leveraging upon our technically-advanced fabrication facility, we are widely affianced in offering wide assortment of LFC Zips. 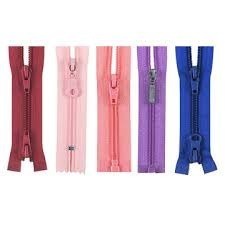 These zips are generally used with jackets, t-shirts, trousers, garments and other allied industries. These zips are made-up of optimum-grade material with the help of modern machines in adherence with set industrial parameters. Clients can buy these zips from us at market-leading rates. 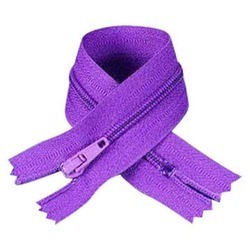 We are engaged in manufacturing and supplying an extensive array of Zips. For the fabrication of this range, we use cutting-edge technology and superlative quality raw material. Further, this range is highly admired due to its long lasting life, long puller, high strength, light weight, etc. In addition to this, our offered range is in adherence with the international quality standards and is available in various specifications as per the needs of clients. Looking for Zip Fasteners ?